Seydisfjordur is one of my favorite little towns in Iceland. 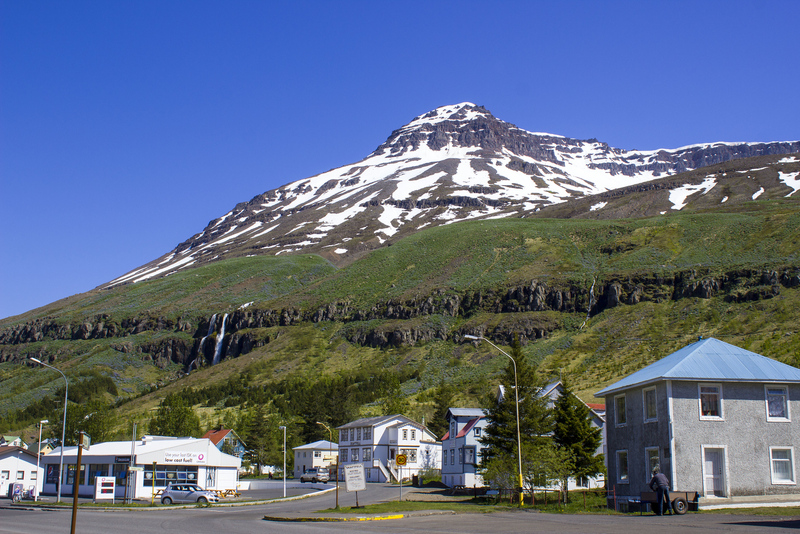 We ventured off the Ring Road at the town of Egilsstaðir, not knowing what to expect. 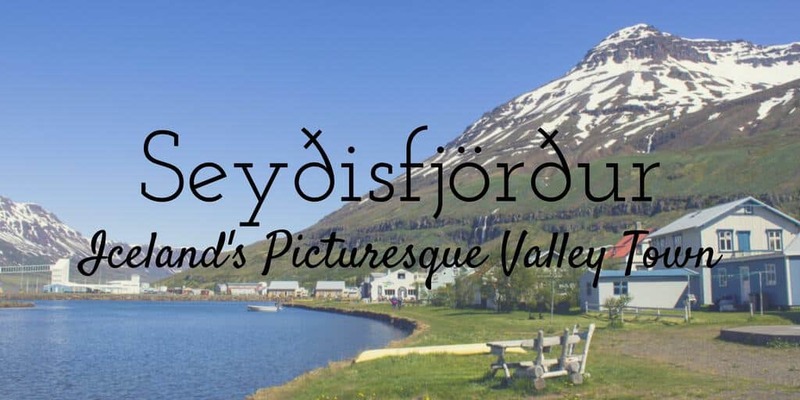 I knew there was a picturesque town called Seydisfjordur a short distance away. 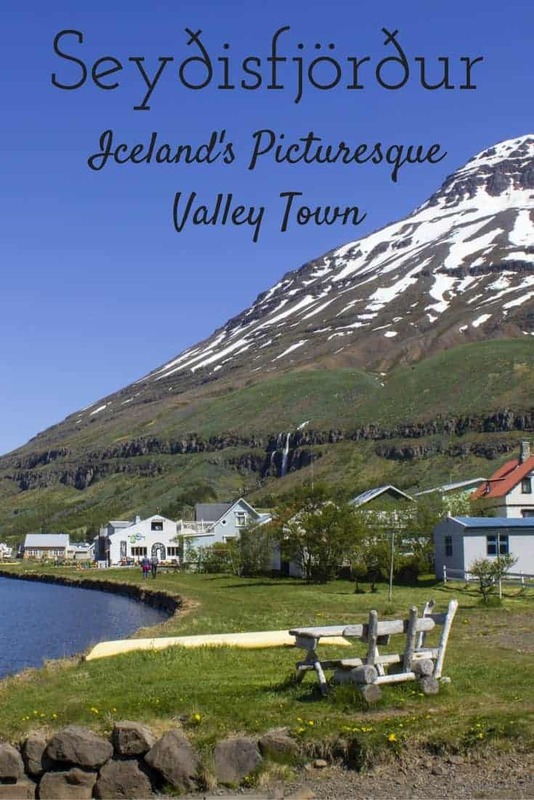 Lonely Planet calls it, “the most historically and architecturally interesting town in East Iceland.” I heard that the local residents are not only friendly, but take pride in the town’s flourishing arts scene. An interesting diversion from the Ring Road? You bet! 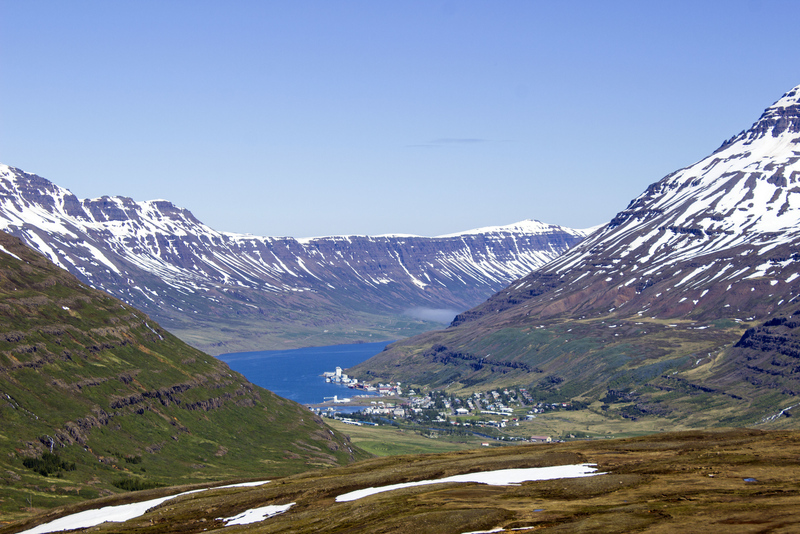 Less than 700 people live in Seydisfjordur. As for the pronunciation, it’s something like, “say-this-fjur-ther”. Icelandic is so tricky sometimes. Well, all of the time. 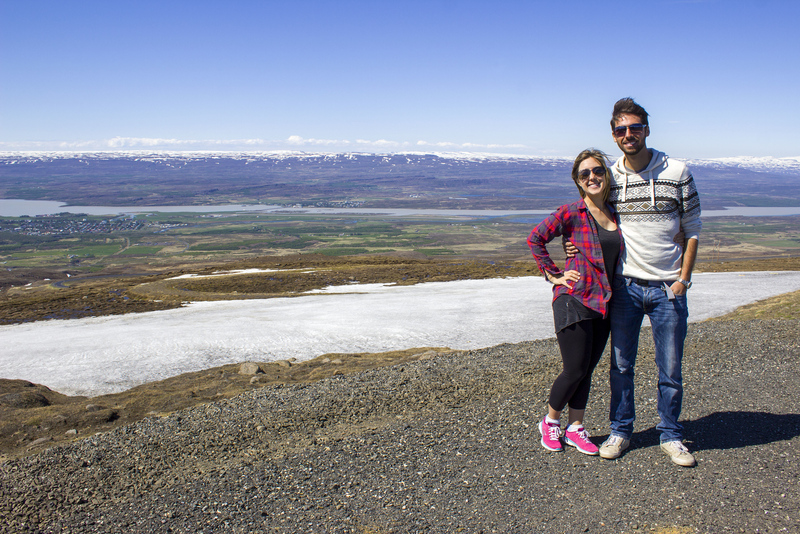 I’m pretty sure that I have no idea how to pronounce most of the places we visited in Iceland for the two weeks we traveled there. 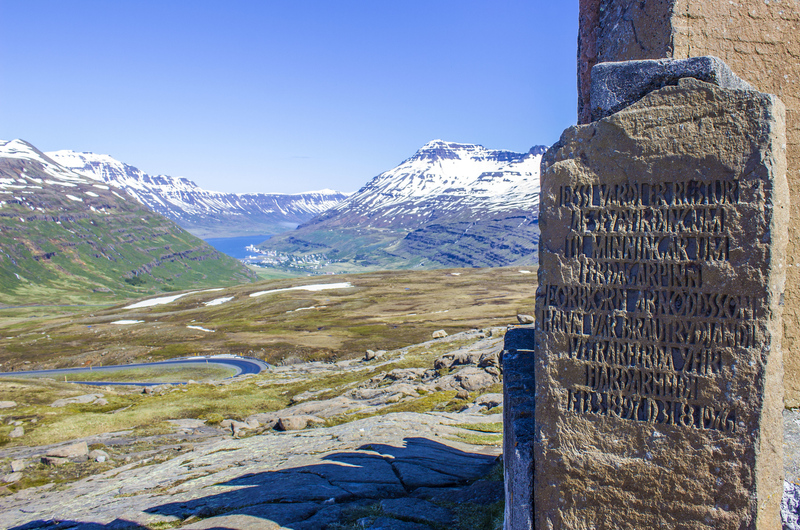 Have you heard of Seydisfjordur before? Have you traveled there, or is it on your bucket list? 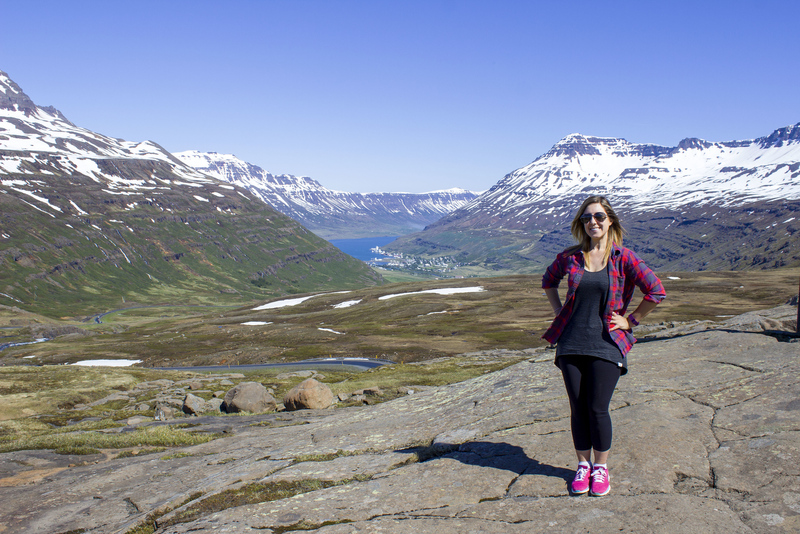 As we drove closer to Seydisfjordur, we climbed a high mountain pass. It felt so quiet and remote, even moments away from the town of Egilsstadir. The landscape was monotone, except for the clear, blue sky. The black tarmac winded around massive, white mountains. It was the beginning of June and we hadn’t really seen much snow anywhere else. Now, there was snow all around the road, from the tops of the mountains down to the ground. 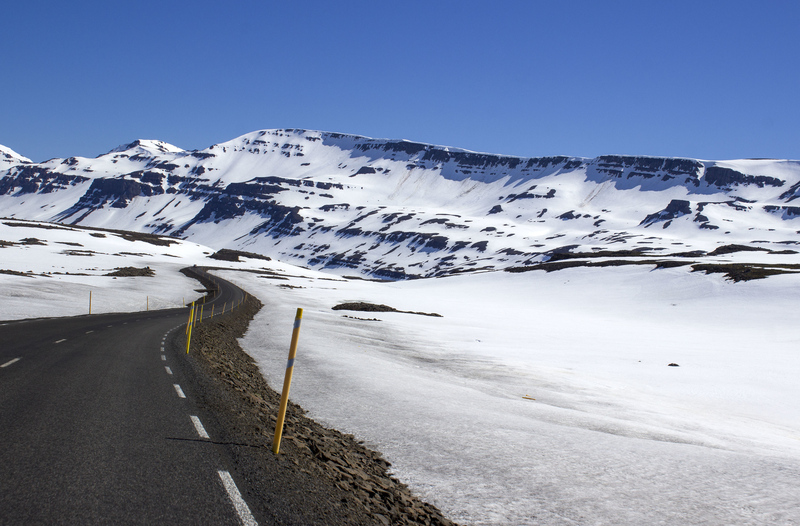 It’s amazing how quickly the scenery can change from one moment to the next in Iceland. Finally, there was a clearing. We pulled over and parked the car at a small lot at the side of the road. We immediately noticed a large stone monument standing tall. 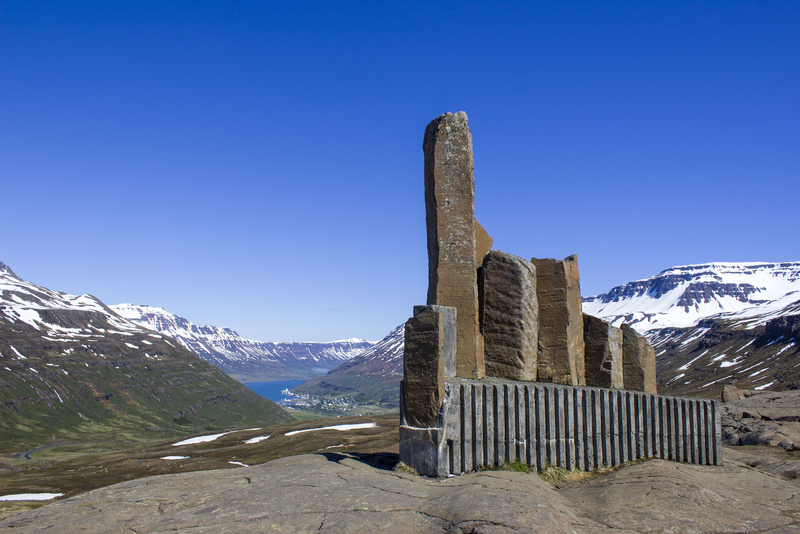 The monument represents the link between the two towns, Egilsstadir and Seydisfjordur. 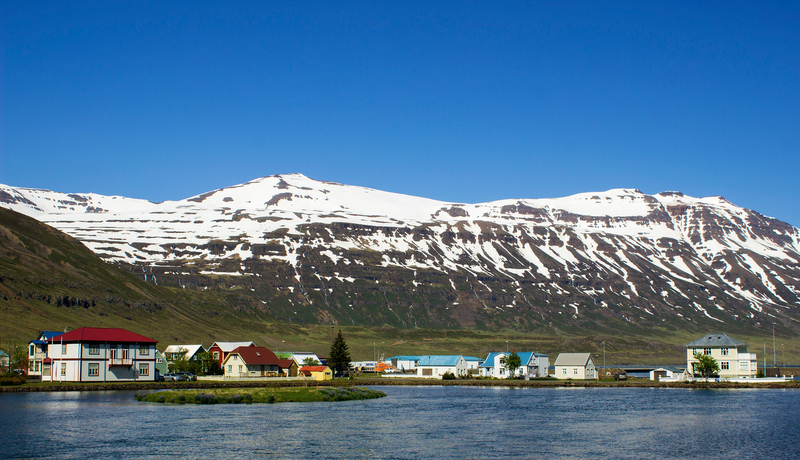 The snow-capped mountains encircle Seydisfjordur, the small town nestled down in the valley. 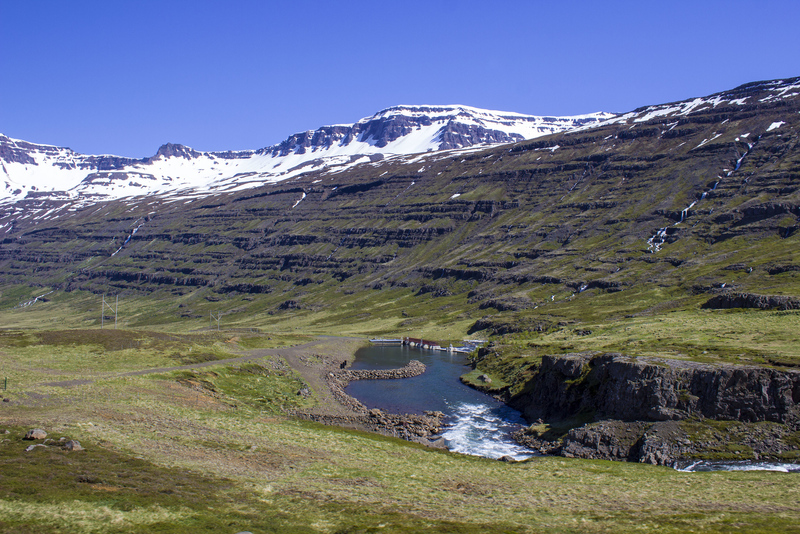 The river, Fjarðará, flows past the mountain’s edge. 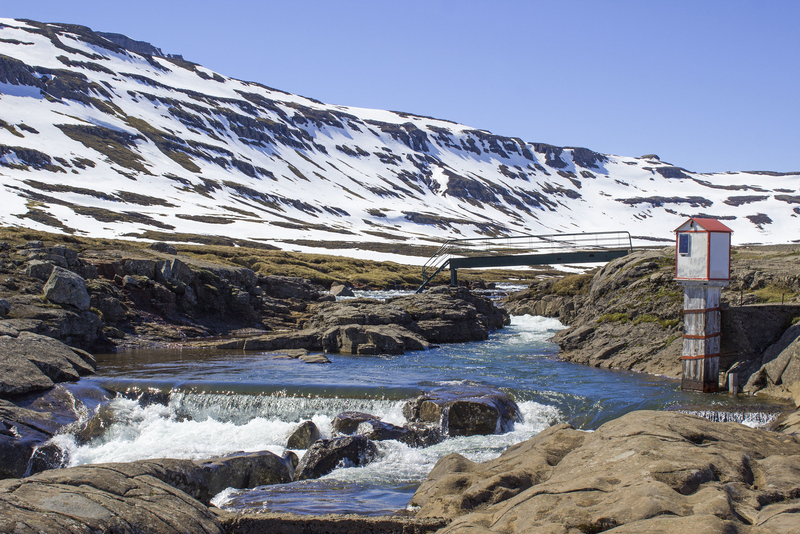 After rushing down cliffs to form a stunning waterfall, the river eventually connects with a 17-kilometer fjord. There’s a quaint bridge for an alternate view over the river itself. This majestic scenery was a warm welcome to the town. I felt so spoiled to witness such beauty. Driving into the valley itself, the gorgeous natural scenes were never-ending. Traditional houses lined the base of the towering mountains, more lush and green than before. We parked the car at the Lon (the lagoon) at the head of the fjord. This is where you’ll enjoy the best sights of the colorful homes across the lagoon. In the summer, a ferry regularly travels from the port in Seydisfjordur to Denmark and the Faroe Islands. It’s possible to reach Iceland by boat, and this charming valley town would be the perfect introduction to this magnificent nation. So, what did we do here? With no plans in mind, we wandered around and snapped photographs. Walking along the main street in town, we encountered some shops with handmade goods by local artists and craftspeople. I stopped at a local bistro for a cup of coffee. 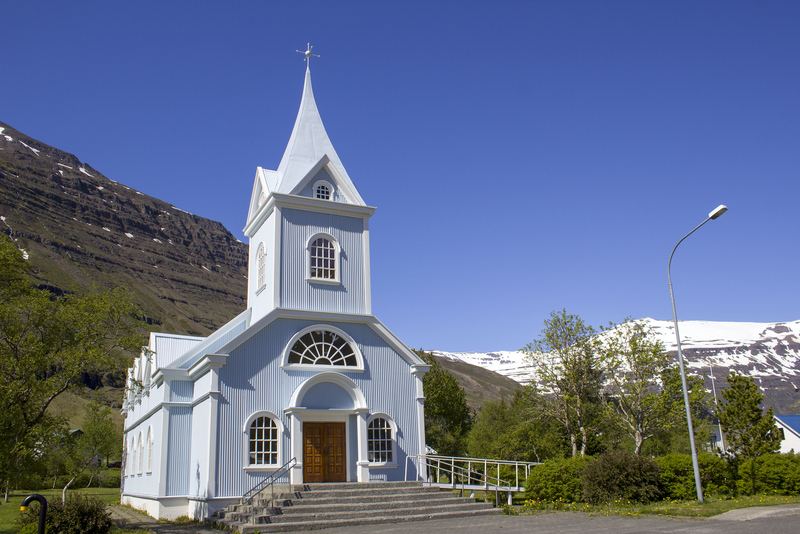 The pretty blue church (Blaa Kirkjan) is an iconic sight. If you’re lucky, there’s a summer concert series there where you can listen to local musicians perform live. There’s an event in July called the LungA Art Festival. Unfortunately, we visited in June so we didn’t get to attend, though it looks really interesting. There are art exhibitions and live concerts that attract visitors from all over the world. This Bohemian town hosts several festivals throughout the year, celebrating the arts. Though we didn’t spend more than an afternoon here, I recommend taking a couple of days if you have the time. 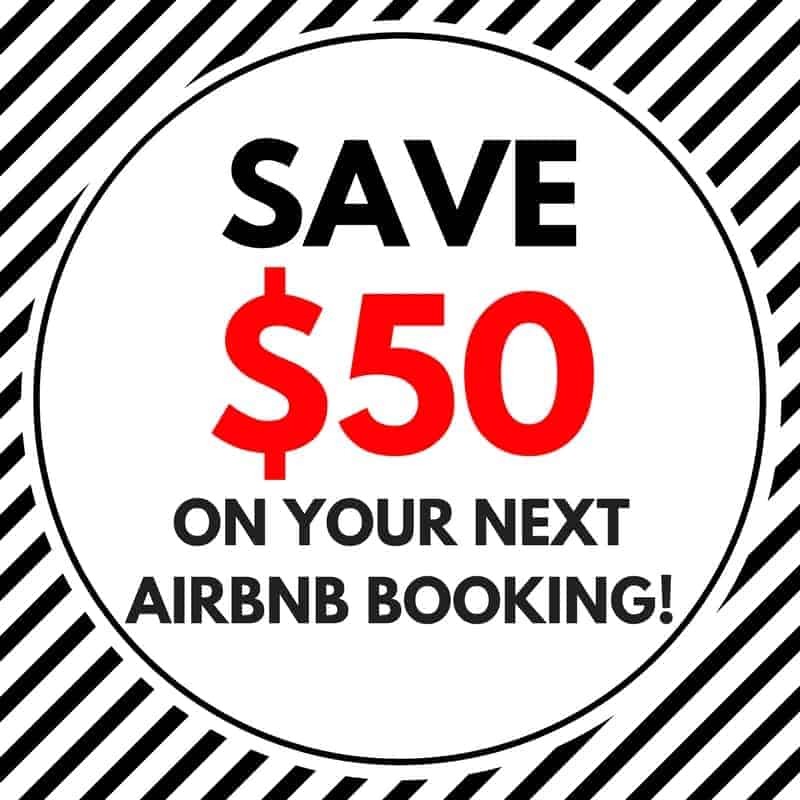 You can rent a kayak or a bicycle and explore a little further by land and sea. There are hiking trails to discover the 25 waterfalls that surround the town. You can even attend a yoga class – I couldn’t imagine doing yoga in a more serene setting. 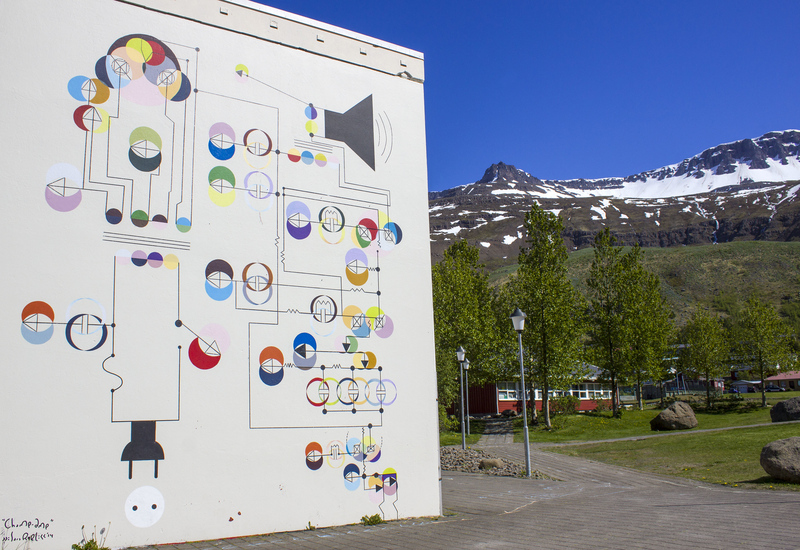 An interesting mural on the side of a building in Seydisfjordur. What do you suppose it means? 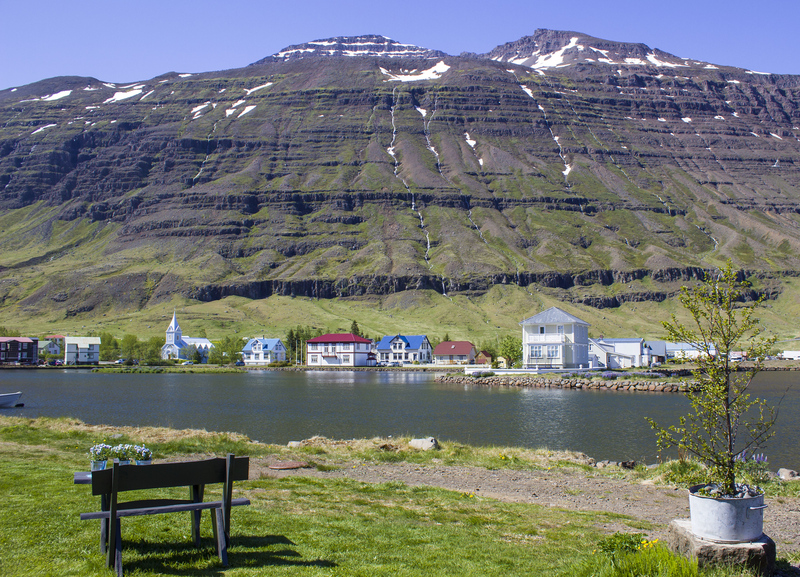 If you’re looking for a place to unwind and forget your worries, Seydisfjordur is for you. 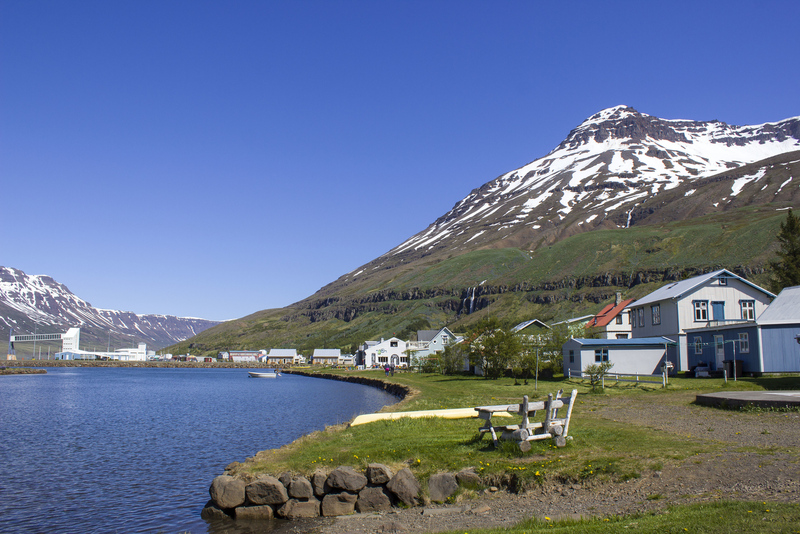 If you’d like to connect with friendly Icelanders in a peaceful village setting, travel to Seydisfjordur. It’s an artsy town with a hip vibe, and you’re bombarded with beautiful views no matter where you look. 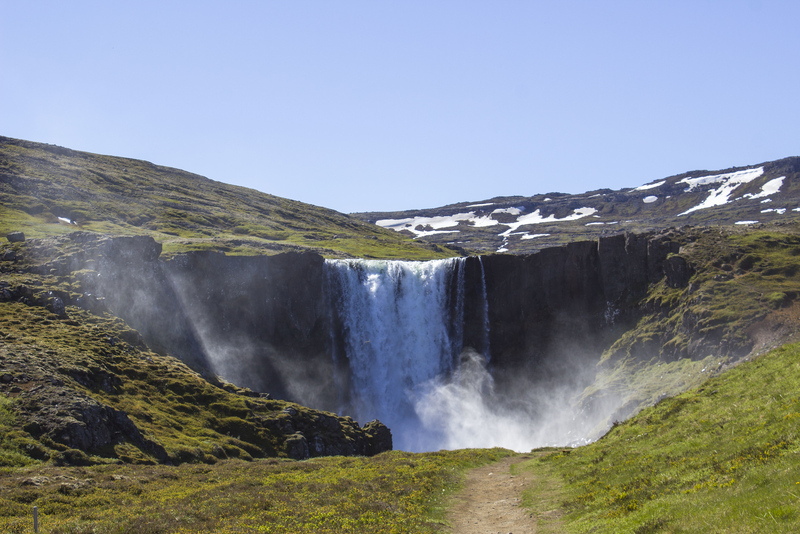 Even when we left the town, we were greeted by a surprise waterfall, Gufufoss. Translated, “Gufa” means vapor or steam, so you have the aptly named, vapor or steam waterfall. It’s rather fitting as there was a lot of water vapor around the waterfall. There’s a place to park your car at the side of the road so you can admire Gufufoss up close. 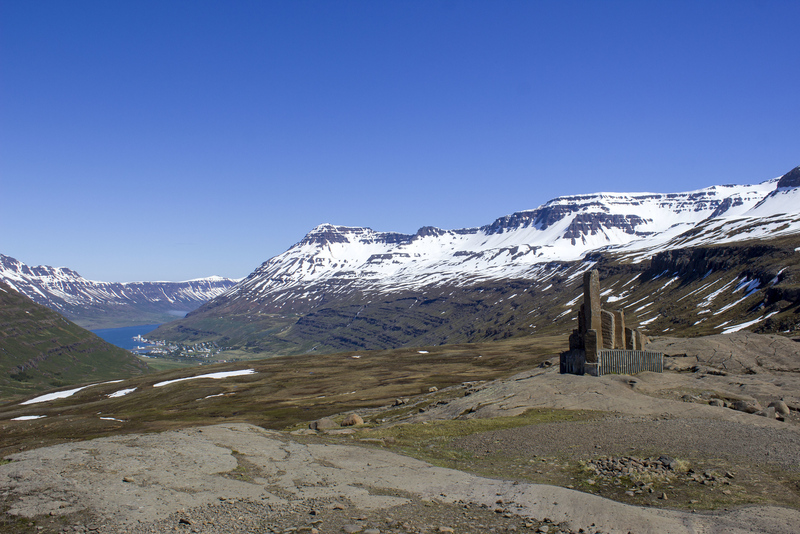 If you’re doing a trip around the Ring Road, make the detour and visit Seydisfjordur! It was one of our favorite stops on our road trip around Iceland. Want to see more photographs of Iceland? Check out our Iceland photography gallery where you can browse our Iceland photos. There are prints, canvas wall hangings, and housewares for purchase – perfect for someone who adores Iceland and would enjoy a unique gift. Fewer than 700 people! What a delightful, picturesque town to visit. Iceland is so damn beautiful. I hope to go someday! 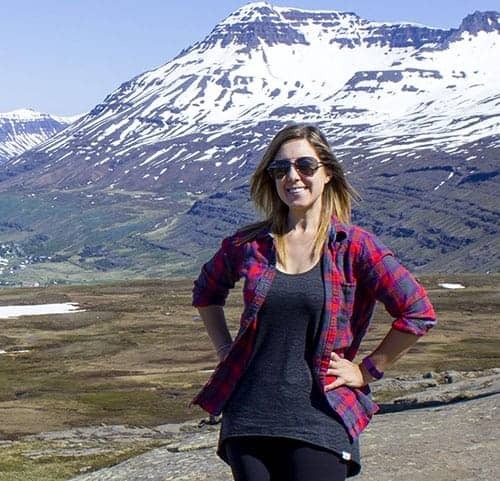 Recently I’ve heard of some flights from Miami (where I’m from) to Iceland for $99! Hopefully it’s still like that next year. I love these little towns off the beaten path. And you had a few bonus waterfalls along the way. I would definitely like to check this place out.